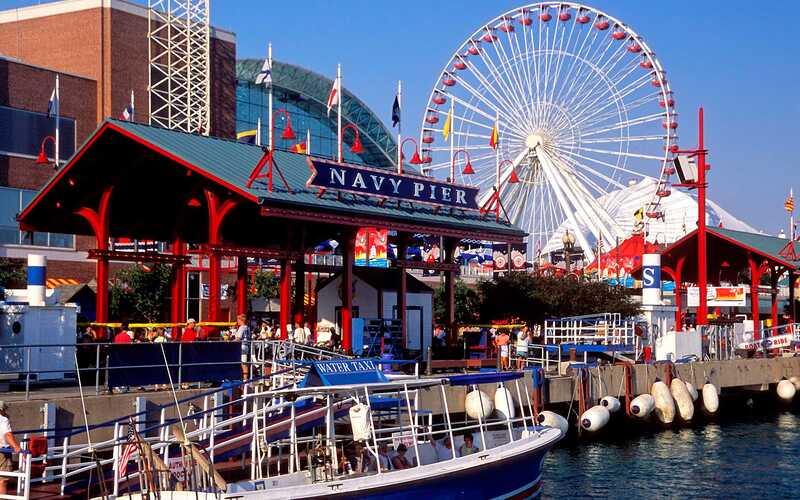 Illinois saw a record number of visitors last year. According to the Illinois Office of Tourism, nearly 114 million people traveled to Illinois in 2017, an all-time high for the number of tourists visiting the state. Last year’s visitor totals were 3 percent higher than 2016, which set the previous record. An estimated 2.36 million travelers visited from other countries, primarily Canada, China, the U.K., Mexico, Japan and Germany. The majority of the remaining 111.5 million U.S. visitors came to Illinois for vacation, as opposed to work. Nearly 83 percent were leisure travelers, the category that saw the most growth. The other 17 percent were in Illinois for business. 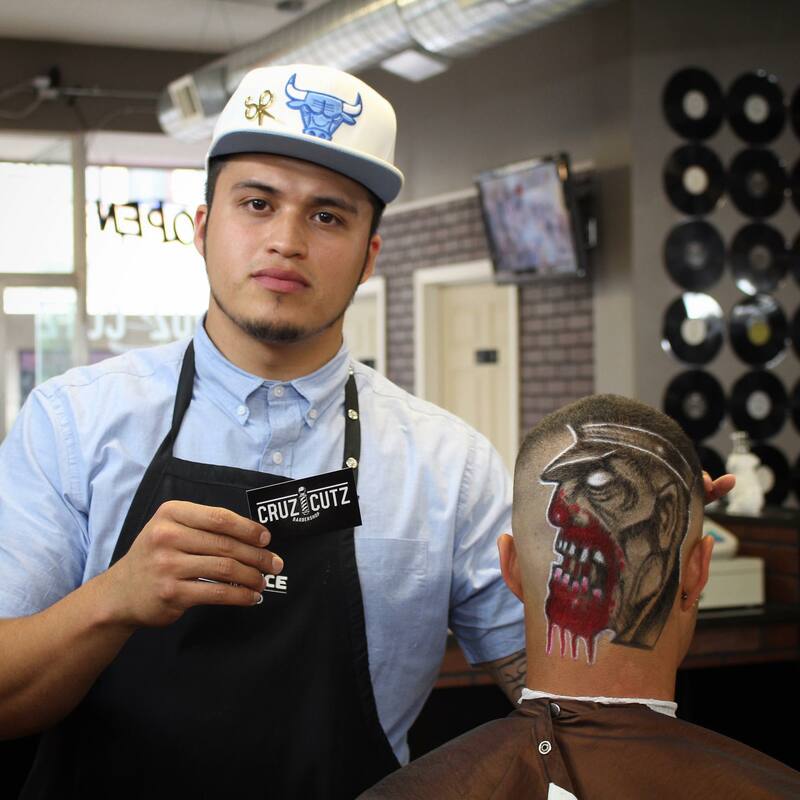 Jesus Cruz is a barber and the owner of Cruz Cutz in Downtown Moline. 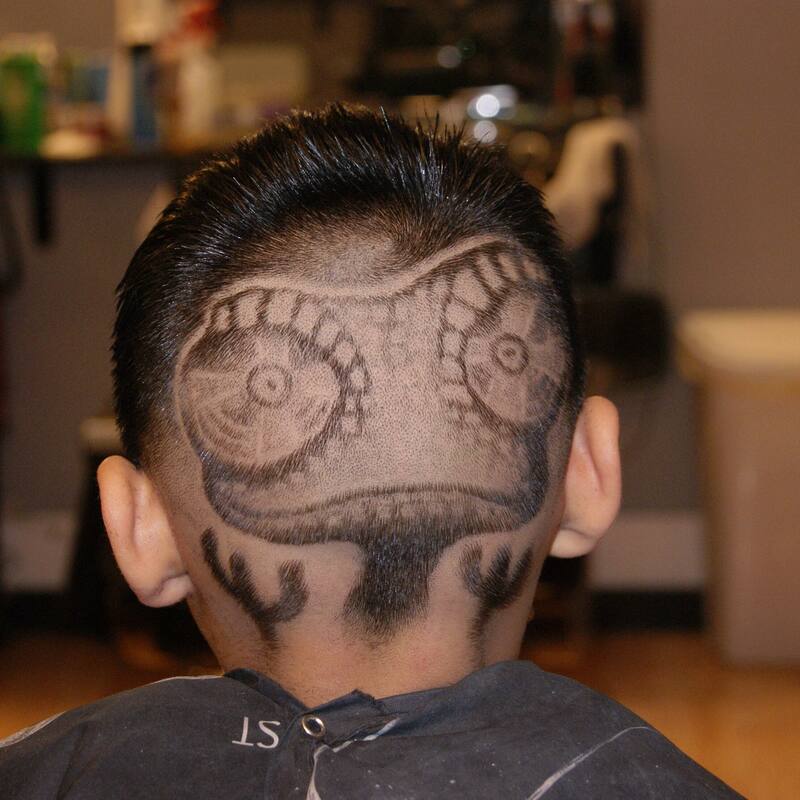 He cuts a variety of intricate designs in his clients’ hair, including everything from a name to cartoon characters. How long have you been an artist or when did you start? Was there a single incident or moment when you realized this was your passion? If so, tell us about it. I believe I’ve been an artist all my life. I was that kid in class that drew all over his notebooks and all his homework. I just really enjoyed being able to express myself in many ways. I always appreciated art, done with pencil, markers, spray paint and just art in general. Growing up, my dad got a few tattoos, and I remember thinking that was the coolest thing in the world. There used to be this magazine you could buy at the Mexican store called Low Rider, which had this section with a bunch of artists who draw using pencil. I would always go buy them and be mesmerized by all the art in magazine. I would go home and try to mimic some of the pieces. That’s when I knew I had a passion for art. Illinois has been factored into your work in the past. What does being able to live and work in Illinois mean to you? Being able to work in Illinois and start up my business here is a great feeling. I have my family and friends here. I graduated in Moline, Illinois. So this is home to me. I’m very thankful to be able to work here. What opportunities does Illinois present for local artists? Illinois has a variety of local art fairs that artists can take advantage of and show off their work. What do you like about Illinois? I like that I’ve met people from all walks of life. It’s really inspired me and broadened my portfolio. My favorite medium right now I would have to say is hair. I own Cruz Cutz Barbershop here in Downtown Moline. 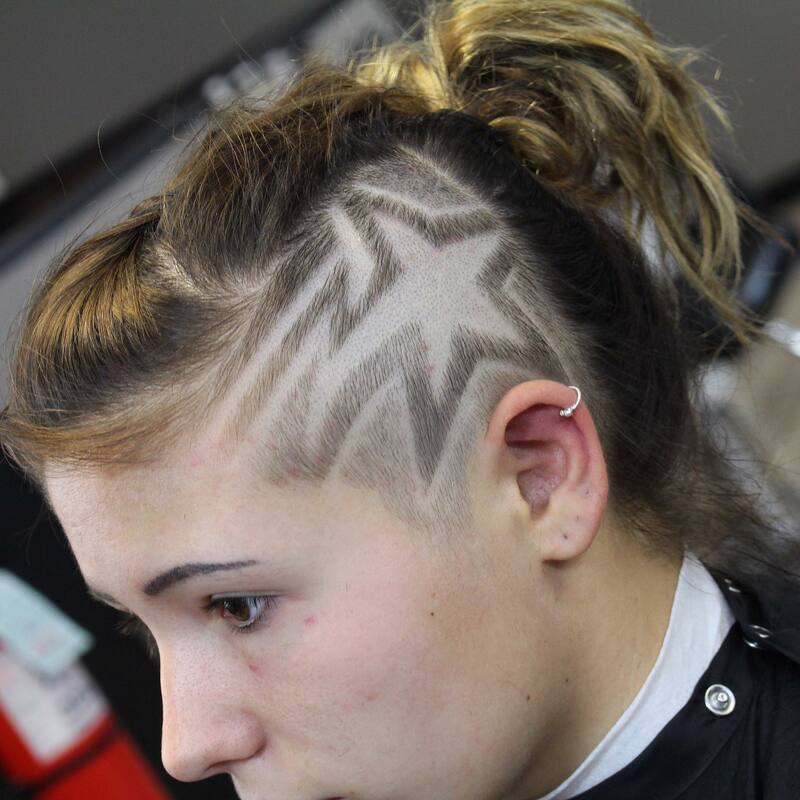 So, cutting hair and doing hair designs is something I do every day. I’m able to express how I feel in these haircuts and have fun at the same time. I do anything from Super Mario, dog portraits, flowers, really anything in hair, and with hair growing back so fast, I always have a canvas. What artist inspires you and why? Artists all over the world inspire me, but I would have to say that tattoo artists are one of my biggest inspirations. 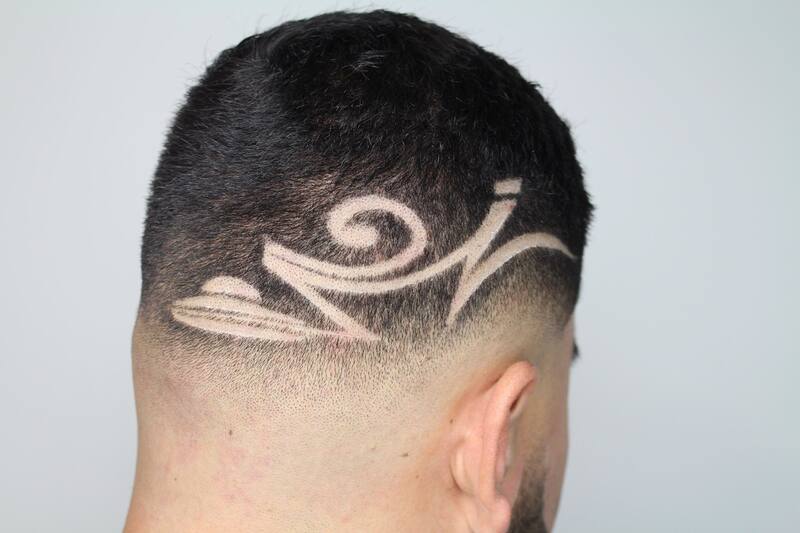 I sometimes see people’s work and get inspired and transfer it into haircuts. It’s just a very cool form of art. Where can people view or purchase your work? My work can be found on Facebook and Instagram. I would say that my Instagram is my portfolio. It’s where most of my work goes. You can make appointments through Instagram or call the shop at (309)230-9399. The Illinois Office of Tourism kicked off National Travel and Tourism Week by unveiling a new Frank Lloyd Wright Trail to celebrate the famed architect’s history and connection to the state. Wright was known for his uniquely American style of architecture, including several well-known buildings in Illinois. His creative period spanned over 70 years and produced designs for homes, offices, churches, schools, hotels, museums and other structures. Two new road trip itineraries will feature buildings designed by Wright, who spent the first two decades of his career based in Chicago and Oak Park. This self-guided architectural adventure will feature 13 Wright-designed buildings open to the public throughout Illinois. One trail goes from Chicago to Springfield, with stops in Kankakee and Dwight, allowing visitors to discover the shining examples of Wright’s signature Prairie style. Another trail takes travelers from Chicago to Rockford, with stops in Geneva, Hampshire and Belvedere, following Wright’s career from his earliest designs to his biggest innovations. 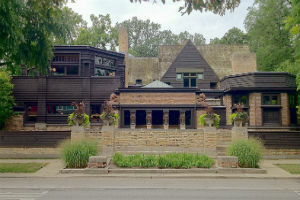 Both itineraries – which can be downloaded from EnjoyIllinois.com – also suggest other activities along the way, such as Chicago’s architecture cruise, the Oak Park walking tour of Wright-designed homes, and various eateries and tourist attractions. The creation of the Frank Lloyd Wright Trail was approved by the General Assembly last month. This summer, official Frank Lloyd Wright Trail road signs will be displayed across Illinois. Scott Deters is a painter from Teutopolis, Illinois. 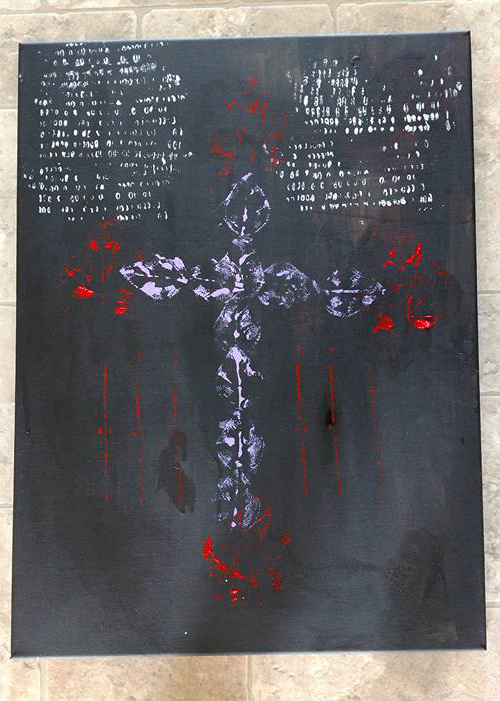 He mainly uses acrylic paint on pre-stretched canvases. 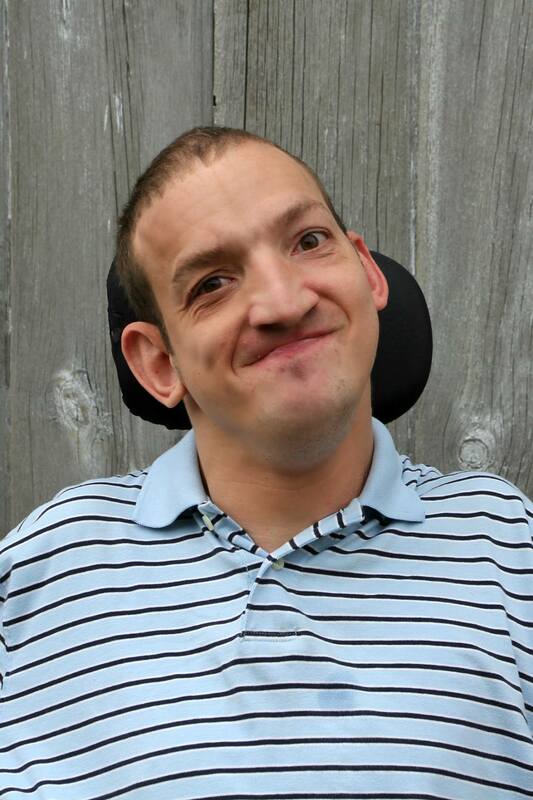 Scott also has Cerebral Palsy, and he uses his work to show that people with disabilities can achieve success. How long have you been an artist or when did you start? Was there a single incident or moment when you realized this was your passion and, if so, can you tell us about it? I have enjoyed painting since I was small. I have two sisters who are very artistic. They have always included me in their artwork. 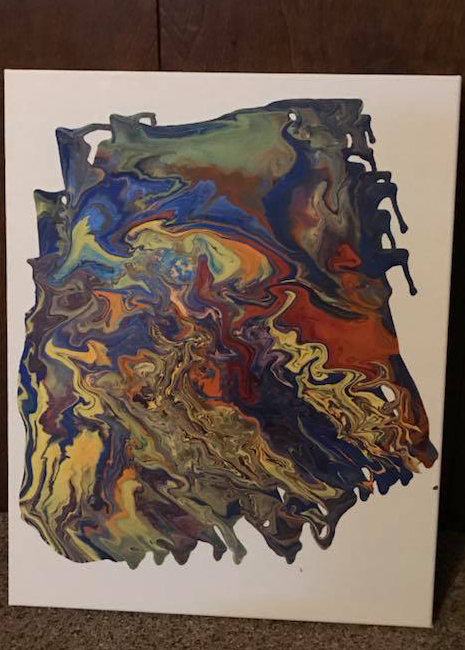 I also have Cerebral Palsy, and we are continuously looking for new and innovative ways for me to paint and, more importantly, to express myself. After high school, I started working at the Day Training program at Community Support Services. They have a wonderful art program, and their paintings are auctioned off to support the program. My sister was the first teacher of that art program. After having some success there, we found a new technique that helped me better express myself. I use a laser strapped to the side of my head to direct an assistant to help me. I decide everything about the painting. It has helped me to show my feeling through my artwork. I have given speeches and demonstrations throughout Illinois to promote my paintings. Doing this also demonstrates that people with disabilities are capable of great things. One of the first speeches I gave was in front of about 400 kids. That's when I realized that I was a voice for people with disabilities while also showcasing my paintings. It was a very powerful moment. There is a great art community in our area that promotes all kinds of creativity. I've had the opportunity to travel throughout Illinois, show my paintings and demonstrate my abilities. I have a large group of supporters in Illinois. There is a yearly artisan fair and art auction, numerous places to display my art and many craft shows that promote artists in our area. We've made many connections across the state and received a lot of positive feedback. It is our goal to help people see that disabilities do not need to stand in the way of success. I have a great set of family and friends who continue to support my artwork. I like the fact that our state supports artists of all abilities. Many of the schools have art teachers in every grade from kindergarten to high school. All of the schools we've spoken to have been very supportive of all types of art. 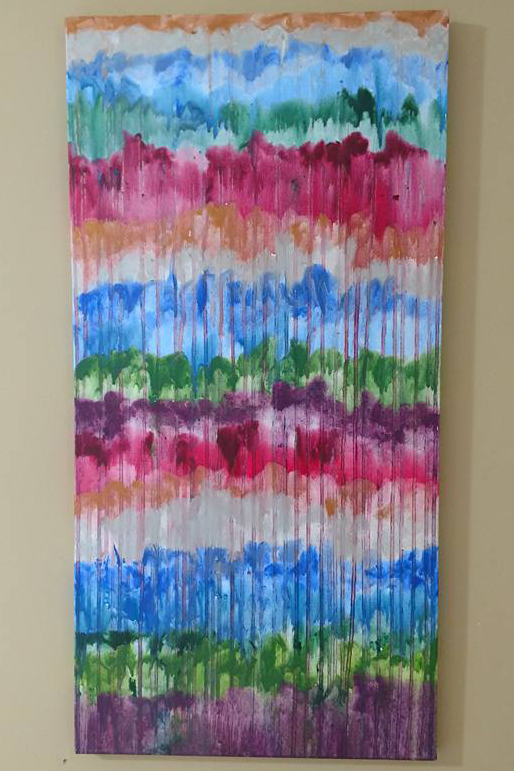 I work on pre-stretched canvases and use acrylics for my artwork. Acrylics dry faster, and I get the best results from them. I have also painted on wood. I can be reached with any questions or interest in my paintings on my Facebook page at www.facebook.com/scottsabstractoriginals or at deters.cindy@yahoo.com. My sister is an art teacher and is a huge support to me. She is a wonderful artist and has given me so many opportunities. She encourages me to try new techniques and is a great supporter. Tim Lefens is an artist based in New Jersey who got us started with the technique that I use now. He was a great help with suggestions and encouragement when we were starting out. He is a fantastic artist, and his art has been shown in galleries in New York and New Jersey. It is National Kite Flying month and what better way to celebrate the nice weather than taking the entire family out to fly some kites? Flying a kite can be a fun activity for the entire family and people of all ages. 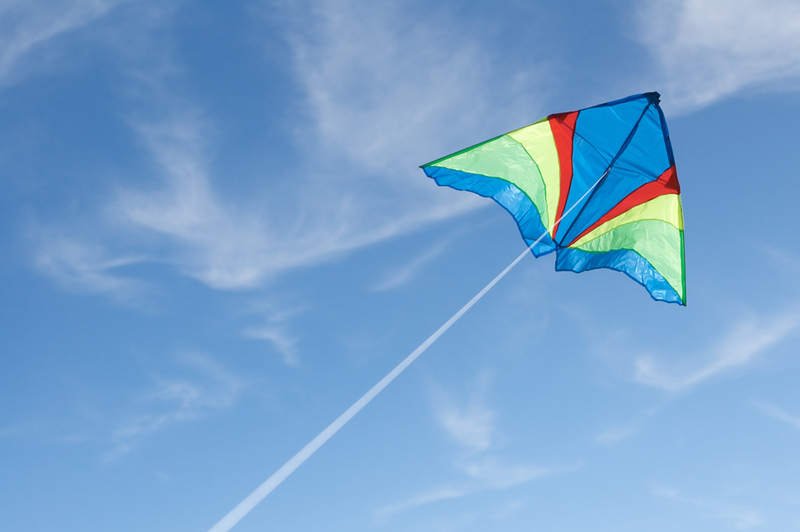 Below are some special kite events that are happening in the suburbs.